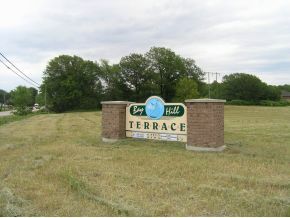 Spectacular building site w/ over 1000 ft of prime Fox River frontage. Property encompasses its very own wooded peninsula & surveyed to include 2 building sites. Ideally would make an incredible site for one home! Peninsula jets out into Fox River on one side & on the other side is over 1570 ft of Apple Creek frontage. Very unique property; completely private, scenic & incredible price! Beautiful 224` water frontage parcel in Southern Door County on the bay. Wooded, private, has a well, mound system, and a 5-stall garage. Total estimated acreage is 3.2 acres. Call today for a private showing. Special assessment $135 for garage/recycle. Zoned: rural residential. Approx 800ft along Oconto River with mature forest covering large areas of property. Building site area is already open and level - all ready for your dream home. Property had a soil test for a conventional septic system in 2003 - new test required. Bayshore lot that includes older 20x21 2 car garage main area of lot could be out of the flood plain nearly 1/2 acre lot with all city services at street.